Once again, thanks to LEGO for sending me these sets to review. What's with the name of this set? It really sounds rather plain and could mean absolutely anything. Who is even getting ambushed? The robot? I guess. However, I will not judge a set by its crappy ambiguous name. I was quite excited about this set: it looked funky and cool. Will it look funky and cool in real life? Let's find out! It's still looking funky and cool on the box, which is very square and not all that big. It's the same dimensions as the MetalBeard Duel box, only deeper, which may or may not mean nothing to you right now. Overall: funky. And cool. The back gives you a better, or perhaps worse, view of the plane. Actually in the picture, the plane still looks pretty cohesive, even though you can see more of it. LEGO ran out of play features it seems, since one of the inserts is just Bob standing on his flying cart. 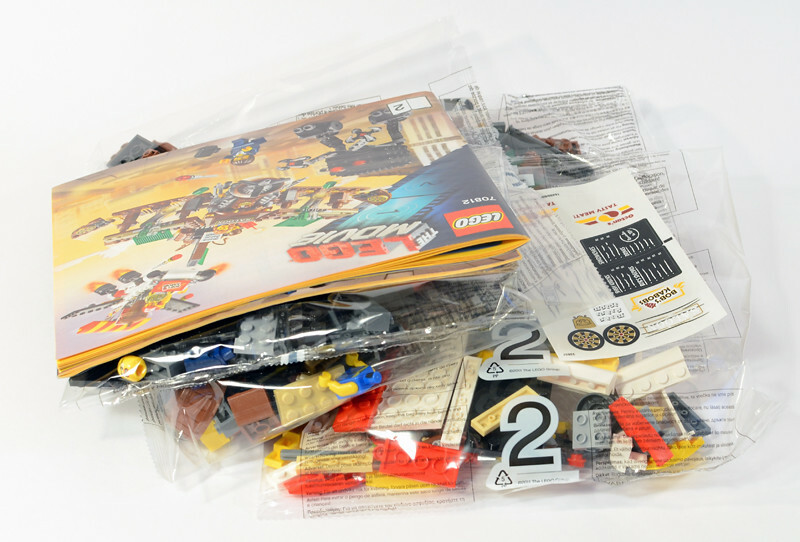 Inside we find a few numbered bags, two instruction manuals, and a sticker sheet. Looks like some nice white parts, and plenty of brown. Definitely a lot better than grey! The instruction manuals of course have the same funky and cool picture as the front of the box. 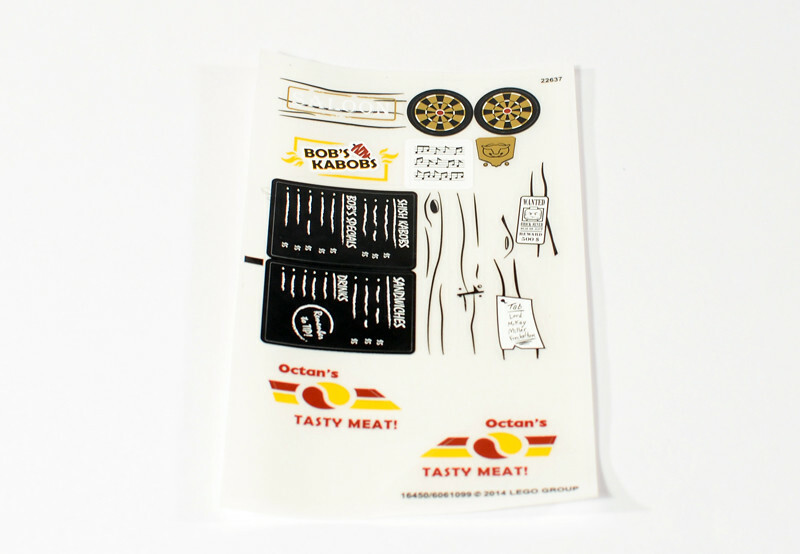 These are some neat stickers, especially the Kabob Cart menu ones. 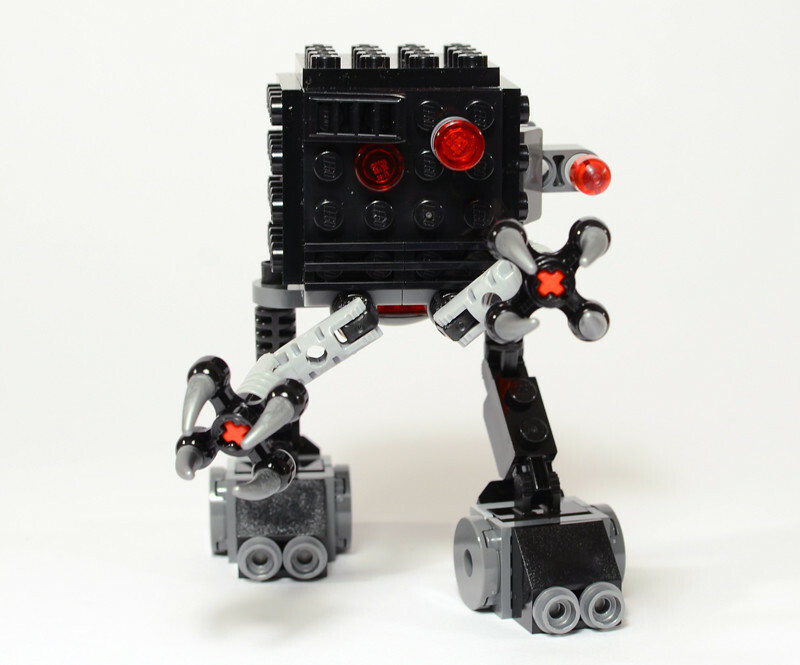 Even if you don't like to apply stickers to sets, you might want to keep these around for a MOC of your own. 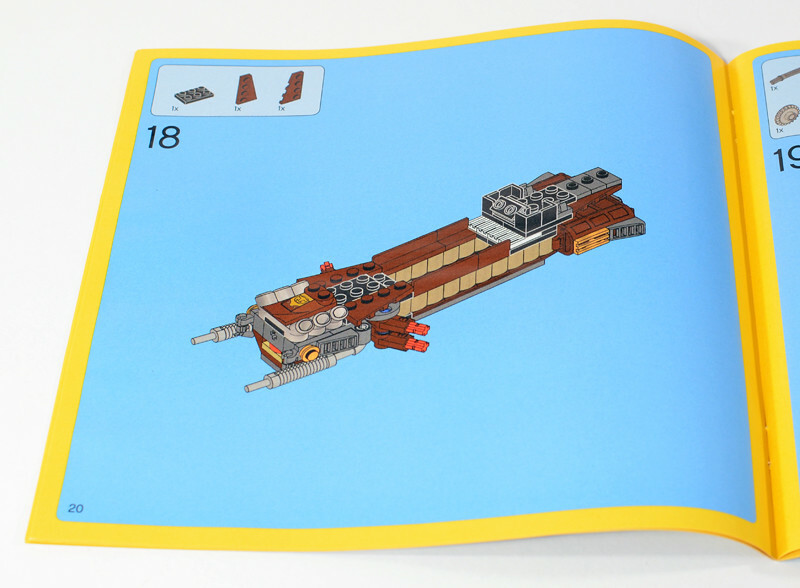 The instructions use the drab blue and orange color scheme I already whined about in my Lair review. From left to right: Kabob Bob, Executive Ellen, Rootbeer Belle, and Sudds Backwash. Out of these, most parts are new and looking good. I thought Ellen's head was the one from Alien Conquest, but it's actually slightly different, so props to LEGO for that! Also great are the three re-colored hair/hat pieces, all new in these colors. Only Sudds' torso is overly simple, a syndrome that afflicts a bunch of figures across this line. It does look pretty retro. Everybody gets backprinting this time, even Sudds with very simply back printing. All are lovely. Ellen has a reverse scared face which looks identical to the Alien Conquest figure minus a beauty mark. I also give you a better view of Sudds' whole face, which has some light markings to show how serious he is. Somehow I didn't take a picture of all the accessories, but you get a bunch of stuff like dynamite, guns of the old type (hooray no more Lone Ranger guns! ), and a knife to shave shawarma. All of that gets attached to the vehicles, which might be why I forgot about it. Like the Lair, there are plenty of different things to build here, so it doesn't get too boring. 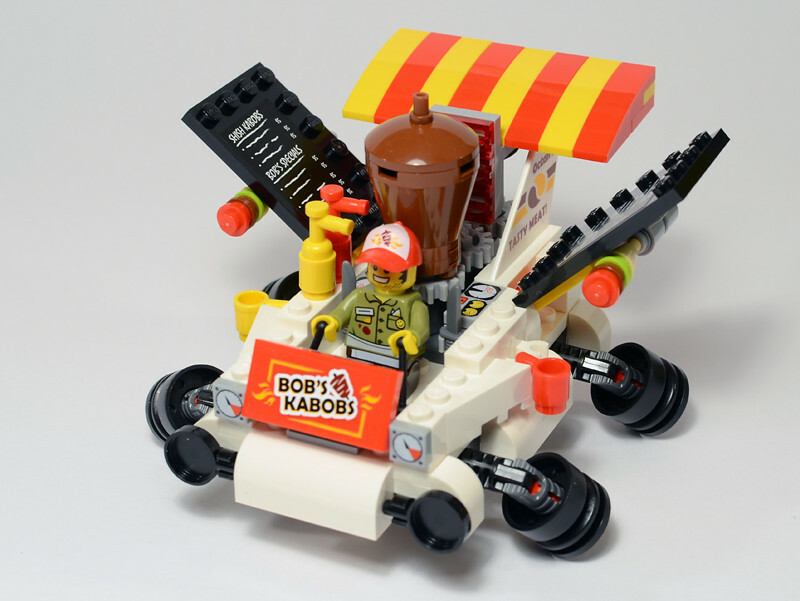 It goes robot, cart, plane, which in a way goes from best to worst in this set. But that's to be talked about in the next sections. There are some nice pieces here, like a bunch of the new round plate with hole, the ice cream cone, clippy bits, and plenty of SNOT bricks. All of these robots have plenty of SNOT, and in different colors for whatever reason. Not too many extras of note, but studs are always handy nonetheless. 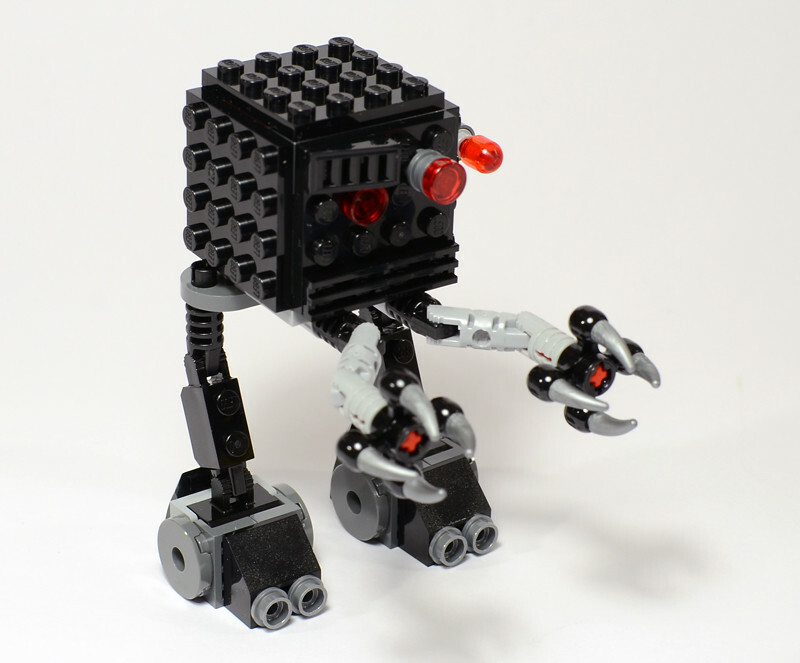 Full disclosure, I thought these black square robot things were extremely bad-looking from the pictures. They just looked dumb. To my surprise, in real life they're actually pretty adorable. This one's got cute little arms and legs that are more pose-able than most. You have to have it yourself for it to win you over. On the back it has a mysterious clip that nothing clips onto. What should clip onto the Micro Manager? YOU Decide! Isn't it so cute? I can imagine it running after me pinching its cute little claws. Of course flick-fires are worthless but let's not shed too many tears about those. Next, the Kabob cart. 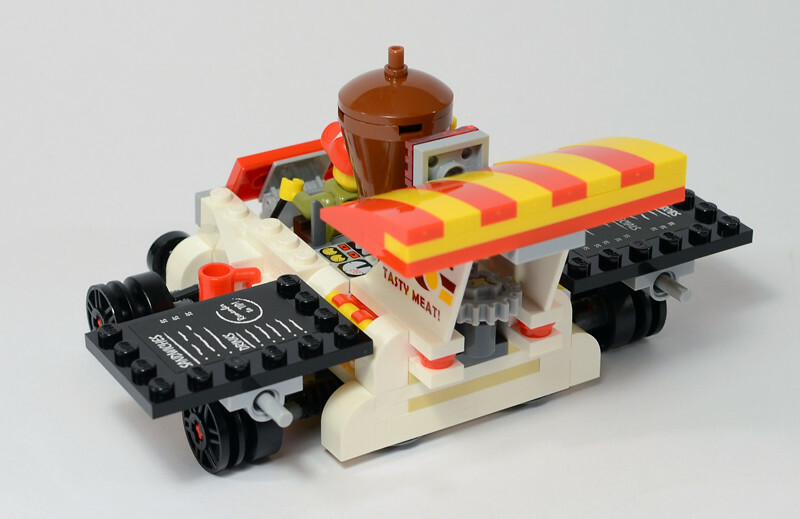 The instructions have you leave the wheels/thrusters flat, which just looks weird. Overall, I loved the idea behind this, but the result is kind of underwhelming. It's pretty plain. The details are nice, like the little bottles, and the thing that emits heat on the shawarma. Speaking of which, I do love the shawarma - that's ingenious and hilarious. But do you see those gears under the shawarma? They do nothing. I was really hoping for a play feature, but no, they just turn. This angle shows another view of the gears that do nothing. You can also see where to flick the flick-fires! Hooray! This cart would really be so much better if it had a more interesting play function. You can actually position the thrusters more like the box and have it stand up. With them like this, it definitely looks better, but it still feels a bit ho-hum to me when I hold it in my hand. I can't exactly put my finger on why. It may be that there aren't enough guns, so that when I swoosh it around, I don't feel like I can go pew-pew-pew because there's nothing to go pew-pew-pew on the model. Finally, we get to the biggest chunk of the set - the plan. This thing looked pretty cool in the boxart, but I've got to say that in real life, it's a bit of a hot mess. Like the cart, it's a terrific idea, but it turns out looks pretty ugly. Brown with dark grey, some gold, dark tan, and little green, light grey, and black gets to be too much. The barrel thursters on the back are cool (thrusters on a bi-plane? ), but again the thing overall is a bit unsightly. Perhaps if some of the grey was replaced with one of the other colors, it would look better. It least it is swooshable and makes me want to go pew-pew-pew as I swoosh it around. It really looks best from the front, where you can't see too much of it. LEGO sure knows how to pick the best angle for the boxart! Even though the plane as a whole is kind of ugly, some of the detailing is fantastic. I love the use of the spigot piece in gold as controls. And this piano may be my favorite part of the set! So cute! The plane does have tolerable play features as well. Of course the firing canons are always good, but there are also treasure-chest bombs - just open the chest and dump out some dynamite. Kind of a clunky feature, but not bad. So there you have it. The poorly titled and disappointing Creative Ambush. This was actually the first set of the wave that I built, and it wasn't a great start, but there are a lot of better sets to be had, thankfully. Still, there are some good elements here. 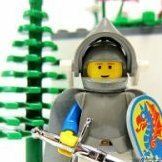 The minifigures are all useful and offer existing parts in new colors, plus good prints all around. 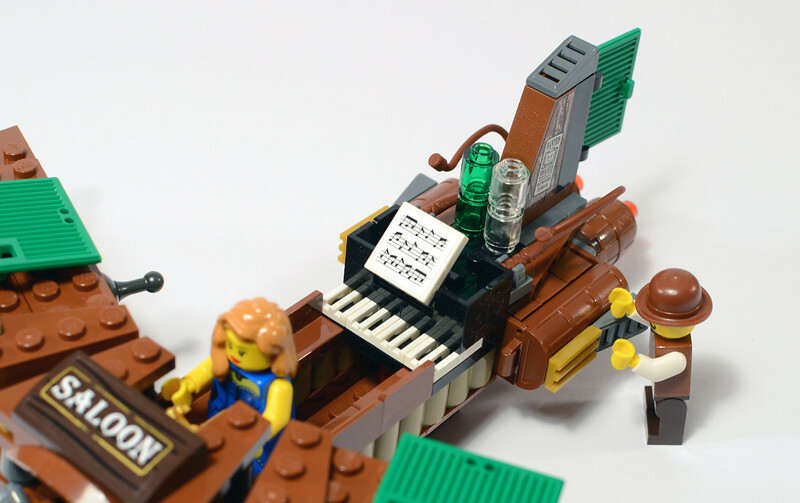 The Micro Manager is fun, and some of the little detail builds are superb, like the shawarma and piano. Parts-wise, there's a lot to like I think. Some new pieces like the round tile with hole, and lots of good brown things in the plan, as well as some tan. With 473 it's a great value (at least in the US), and may be worth it if you're into parts. I hope you enjoyed my second LEGO Movie review. I'm curious to hear what other people think of this one, since (as I've explained) it doesn't do much for me when all is said and done. I have to say that I tend to like the set much more than the evil lair. I really look forward to using all these parts to create an actual saloon. 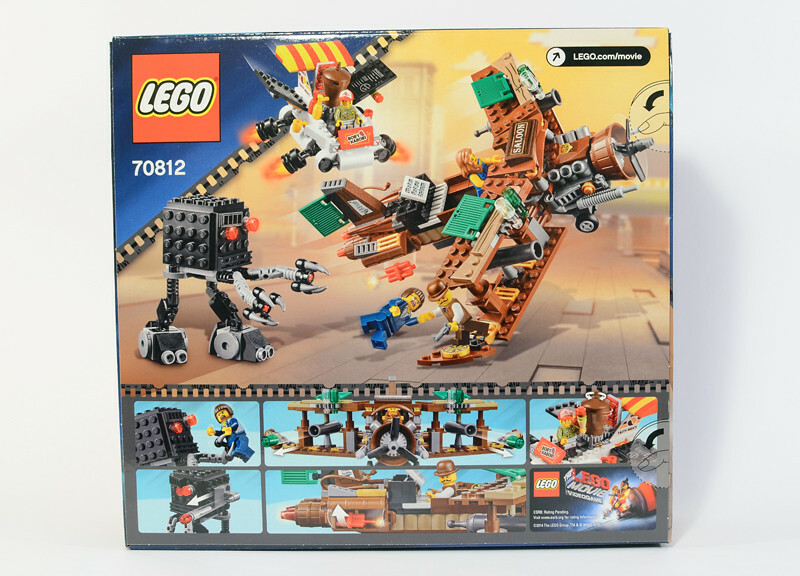 I agree that the set itself looks like a massive mess, however, I have never seen a set with so much potential for modifications. As a matter of fact you can turn the set into a vehicle or a building... you decide. 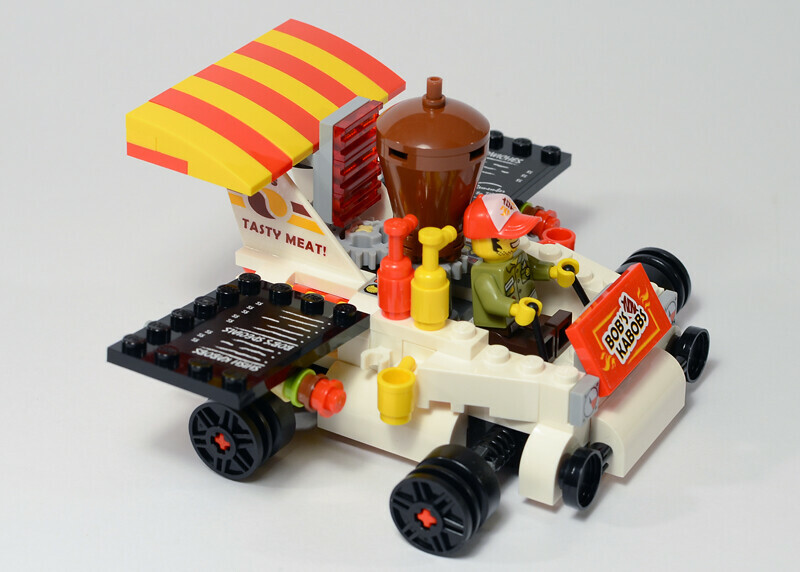 Are there instructions included to make a real kebab kart? Thanks for the review... Hmmm, I don't know what to think about this set. Your review has shown me it in a new light, and unfortunately, there's a lot of things I dislike about this set. Thank you for saving my wallet! 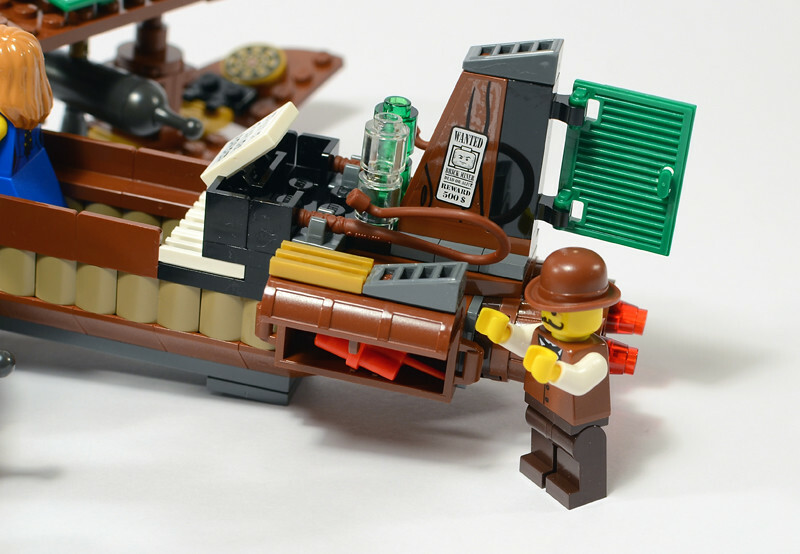 I think if this set had had the 2in 1 style builds that some of the others featured, and actually made the kabob stand and saloon it might have been the best set of the wave. Instead it's a parts pack for a western MOC. Wow, lots of stickers... At first, I thought those are printed tiles! Well, it was quite a disappointment but overall I think this is quite average set with above average for it being used as a part packs such as the aircraft. 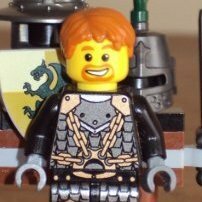 Personally, I think the minifigures are awesome and it is great to know that the torsos are double side printing. Thank you for the second review, now keep the rest coming! The set itself is a horrible mess of parts. thankfully those parts are awesome and I love every single mini figure so much. I can't be the only one that likes the simple mini figures. Now-a-days there are just too much going on. I still can't beleive there were no instruction for a real kebab stand and saloon. Thanks for the review! . I love the micro-manager's legs, great use of the 2x2 round with a hole. I actually thought this set was decent until you got to the plane. It's just it lacks cool functions, which kind of makes the entire set pointless, because you have this Ambush but with no functions to support the set. 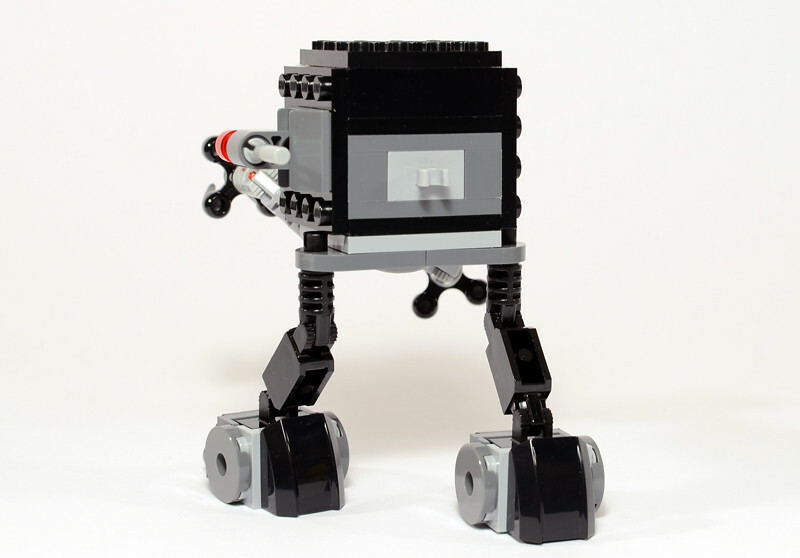 Other than the flick fires, but those will probably get old, considering lego has been doing them for almost seven years. Great job on the reviews as always, I just hope the other ones turn out better than this. I do want Sudds' head and bowler hat to make a Dr Watson to go with my CMF detective Holmes, but otherwise nothing in this set really excites me. Maybe that'll change after I've seen the film. There are plenty more sets in the range that I'm wild about though, so I'm looking forward to seeing the rest of Clone O's excellent reviews. Well... I guess that the Kabob stall looks pretty ugly and the plane is alright at best. This set was one of my favorite 'transformed' sets, but now I don't like it as much. Well, maybe part of the challenge is to build your own saloon and kebab cart. 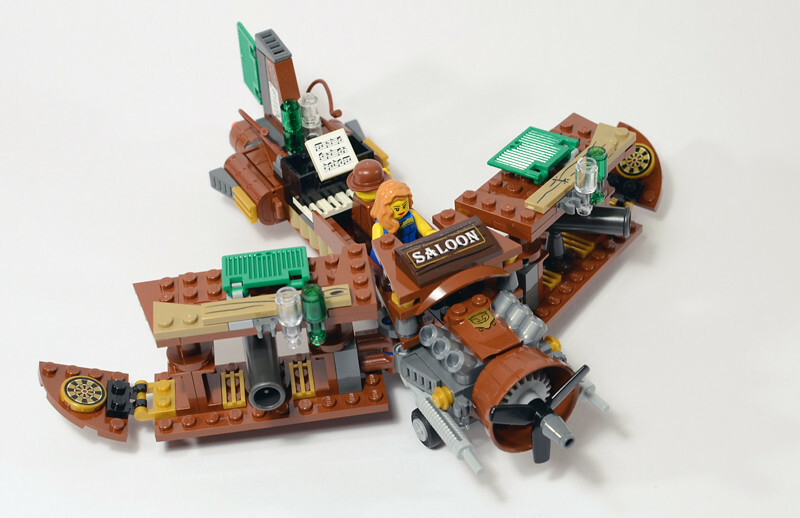 Both items *look* like they have enough parts to make them (though the saloon may just be the facade of one). Is there any alternate builds , to make the kabob van look like an actual van ? No, this is not one of the 2-in-1's. Both this and Rescue Reinforcements look like they could have alternate builds, but don't. 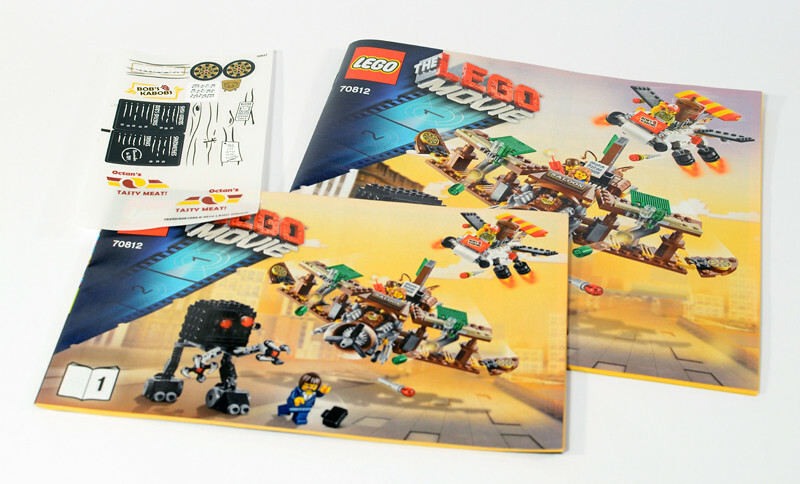 This was the set I was most excited about when the sets were revealed, and even though you are clearly less-than-enthusiastic about it, I think I might still really enjoy it, if not for one thing: all those "printed" parts are actually stickers. Despite everything negative you've said about it, that's probably the only thing that could have killed it for me. Thanks 'CoP' for another great review......I'm a little let down there isn't normal build options like in the plumbers and ice cream van's but it's cool anyway.....both flying machines are crazy designs.......but the saloon one is the funniest.....bottles on the wings (don't drink and fly ) and a piano (well, don't shoot the piano player ). 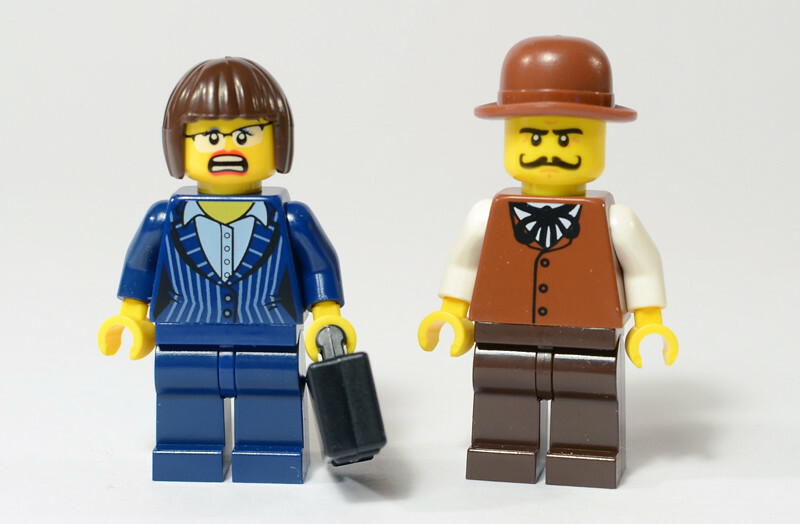 The minifigs are not bad.....weird mix of now and 19th century wild west.....I need to see the film in April when it's released here in Oz to see why ? Good review. 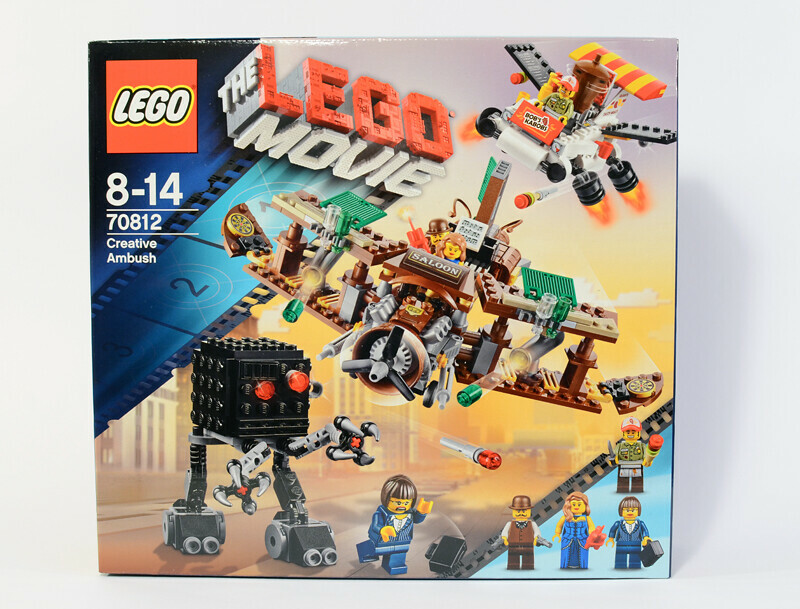 Of all the LEGO Movie sets (which I generally don't find too interesting), I think this one is (so far) the best. 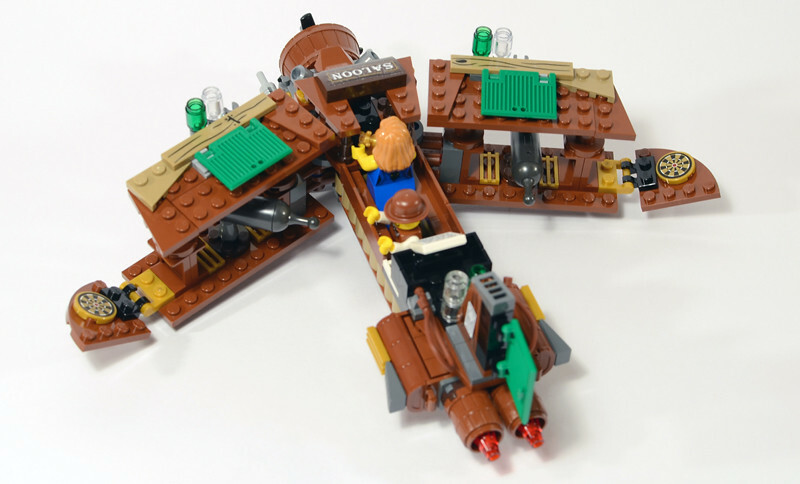 I especially like the big plane with all the many interesting details and parts as well as the Rootbeer Belle figure. Great review! I can't quite make out the name on the Wanted poster...can you tell me what it is? Personally, I've found all of the currently released film sets to be very disappointing, especially this western sets because I'm a huge fan of the Wild West theme and these are just awful messes. I would have liked to have another printed wanted poster, and it stinks that the poster is part of a larger sticker on a piece that wouldn't even be very useful in building a sheriff's office. 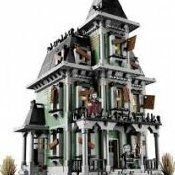 I'll probably get this set though because it has a lot of parts I'm interested in. 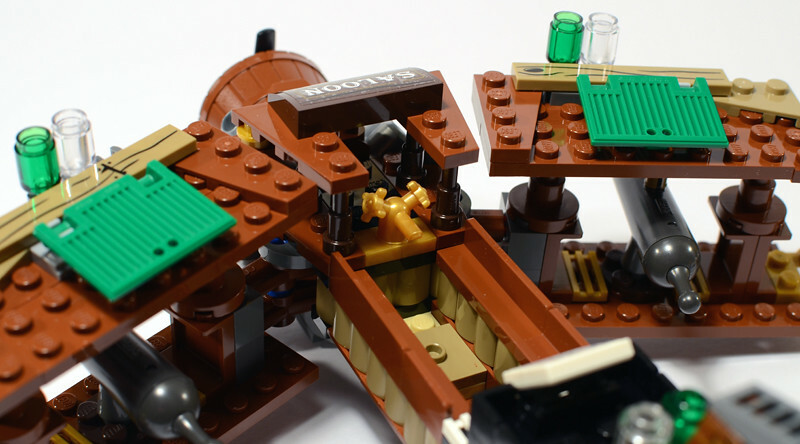 I'll probably build my own saloon using these parts, keep the female minifigure, and sell the others. I want to put a dress in the window of the general store in my display, and that dress looks perfect for that. Also, I think it was a huge mistake not to include the bases to those cannons. That makes them pretty useless unless you're satisfied with making your own base, but I'd be impressed if someone was able to make one that looks nice. 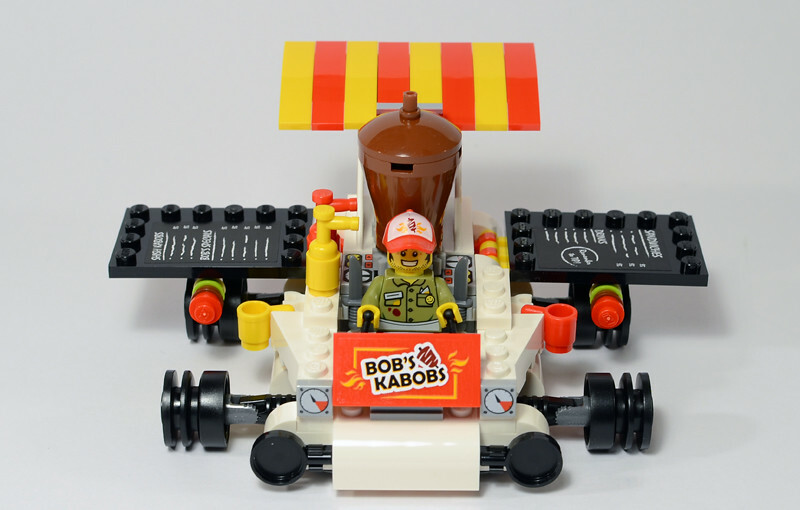 But indeed the kebob-flier have a playfeature- you turn the gear from back to turn shwarma! Personally, I've found all of the currently released film sets to be very disappointing, especially this western sets because I'm a huge fan of the Wild West theme and these are just awful messes. The little Western one is actually terrific. Maybe just for the minifgures, but it's really terrific for the figures!